THE FUTURE IS BRIGHT, THE FUTURE IS ORANGE! 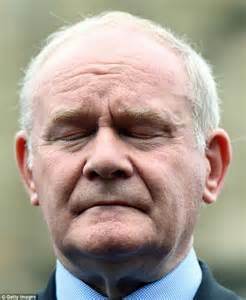 Sinn Fein’s Martin McGuinness has announced that that he is stepping down as Stormont’s Depute First Minister. 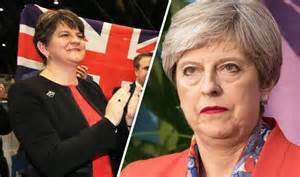 This move has been taken to precipitate an election in the face of the DUP First Minister, Arlene Foster’s role in the “Cash for Ash” scandal. McGuinness’s decision has been taken with great reluctance, since it puts into question Sinn Fein’s proclaimed strategy of sustaining the post-Good Friday Agreement institutions on the path to a united Ireland. As a consequence, in order to maintain Stromont’s constitutionally entrenched sectarian set-up, workers and nationalists have been asked to make bigger and bigger sacrifices. These have accentuated by the wider global economic crisis and the ongoing political crisis facing the UK state, in the aftermath of the Scottish independence and Brexit referenda. Socialist Democracy (Ireland) posted this article just before McGuinness’s resignation, as a follow up to an earlier piece, which we have already posted (http://republicancommunist.org/blog/2016/12/17/stormont-executive-backrolls-loyalism/). 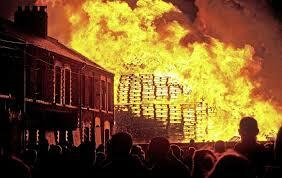 The facts of the latest scandal to hit the administration in the North of Ireland are easily stated. An energy saving scheme (the Renewable Heating Scheme or RHI) devolved from the British Treasury, spun out of control and ran up liabilities of almost £500 million. The costs arose in two phases. In the first phase cost controls were removed and the subsidy was greater than the cost of the fuel. In the second phase closure was delayed while hundreds of those in the know piled in to get a share of the free money. The person who signed off on the scheme as relevant minister was Arlene Foster. The person in charge as First Minister when the costs ballooned out of control was Arlene Foster.